“Fake and dangerous food and drink threaten the health and safety of people around the world who are often unsuspectingly buying these potentially very dangerous goods.” These are the words of Michael Ellis, head of INTERPOL’s Trafficking in Illicit Goods Unit, commenting on Operation Opsen V, which saw the seizure of more than 10,000 tons and 1 million litres of hazardous fake food and drink. This brings home the stark reality of the burgeoning trade in counterfeit and fraudulent food and drink. “Fake and dangerous food and drink threaten the health and safety of people around the world who are often unsuspectingly buying these potentially very dangerous goods.” These are the words of Michael Ellis, head of INTERPOL’s Trafficking in Illicit Goods Unit, commenting on Operation Opsen V, which saw the seizure of more than 10,000 tons and 1 million litres of hazardous fake food and drink. This brings home the stark reality of the burgeoning trade in counterfeit and fraudulent food and drink. One of the key challenges facing all brand owners today is the threat that counterfeiting poses to their revenues and reputations. However, food and drink companies must take into account a more sinister consideration – the health risks that unregulated and untraceable food and drink products can pose to consumers. With no quality control of counterfeit goods and their component ingredients, the possibility of involuntary ingestion of toxic substances is a matter of grave concern. Why are counterfeit food and beverages big business? First, where there is demand, there will be supply. Food and drink is big business; IGD expects the value of the world’s grocery market to reach $11.8 trillion by 2020. This level of annual sales makes these industries an attractive target to criminals, and with household budgets under pressure, many buyers are on the lookout for cheaper goods without compromising on quality. This creates a direct-to-consumer demand for low-cost versions of quality, well-known products, and unscrupulous providers will manufacture and distribute fraudulent products to take advantage of the opportunity to make significant profits with a low risk of detection and apprehension. The consumer and the counterfeiter will quite literally feed off each other. Second, consumers are extremely loyal to their favourite brands – but price is a major factor. A 2016 McKinsey Global Consumer Sentiment Survey showed that 53% of consumers in South America will buy their favourite brands, but only if they are on sale at the right price. The consumer’s desire to seek out bargain prices for high-quality products fuels the environment within which counterfeiters can thrive. Fakes proliferate and if the packaging and product have the right look and feel, this will convince most consumers to buy. Third, businesses themselves are under increasing pressure to lower their costs and the end prices that they charge consumers. This means that suppliers are under increasing pressure too, and are often more willing to cut corners and seek out new supply chains that will allow for a reduction in production costs. As for the business-to-consumer market, this presents an opportunity for counterfeiters to undercut legitimate business-to-business suppliers and make their fraudulent goods sufficiently attractive to enter the supply chains of legitimate businesses through a low-cost entry point. How does the Internet facilitate the trade in counterfeit food and beverages? The food and beverage sector faces a global challenge that applies to all industries: the Internet provides the perfect shop window for unscrupulous manufacturers and distributors to sell fake products on a low-cost, low-risk basis. Simply put, anyone can manufacture any product in any part of the world and, for the cost of a website or some time spent listing products on an online marketplace, can market the products to buyers around the world. Online marketplaces present a challenge to brand owners, as they are an ideal environment within which to advertise counterfeit goods. Many of these websites are focused on emerging markets, where IP laws may not be a priority and where the website owners themselves – in addition to the local authorities – may not be as cooperative as needed. Websites such as Taobao, one of Alibaba’s websites and consistently in the top 20 most visited websites in the world, provide a shop window for counterfeiters to reach billions of consumers. So rife is the counterfeiting problem on Taobao that it was recently re-added to the United States’ Notorious Markets List. Standalone websites also remain a major headache, as the registration of domain names and the posting of IP rights-infringing content is not normally regulated. When marketed using exactly the same techniques as legitimate websites, content selling fakes can quickly become popular and attract a significant volume of traffic. In addition, the content for these websites is easy to replicate, meaning that each counterfeiter can harness the power of tens, if not hundreds, of websites simultaneously selling multiple brand fakes. This creates a low-cost entry point for a potentially high reward. To provide an idea of the scale, in Operation IOS VI, law enforcement agencies from 27 nations collaborated to take down 37,479 counterfeit websites in 2015. An even lower-cost entry point – and one that provides increasing levels of success for counterfeiters – is social media. Setting up profiles, which are not subject to scrutiny, for free on popular social media platforms provides counterfeiters with an unprecedented opportunity to attract consumers to their content and to lure them out of the social media environment and into places on the Internet where they can sell them counterfeit food and beverages. Counterfeiters, like legitimate brand owners, will use every method at their disposal to increase their sales online. They will most likely use a network of social media profiles, websites and offers on online marketplaces to attract and sell to consumers. These are often legitimised by using trademarks or copyrighted material to ensure that consumers will find it hard to distinguish between real and fake goods. In 2016 Forbes reported that up to 80% of Italian extra-virgin olive oil on US shelves is fake. Oceana released a report stating that 33% of all fish sold in the United States is fraudulently labelled, entailing widespread substitution of premium fish for a product of unknown and unregulated origin. The EU Intellectual Property Office estimates the losses associated with counterfeit wine and spirits across the European Union each year to be €1.2 billion. It is estimated that up to 70% of all wine sold in China is counterfeit. It gets worse: there is an increasing threat to consumers from the counterfeit products themselves. Every time a consumer ingests a food or beverage product that has not been subject to the same rigorous production standards as a genuine product, there is a risk to his or her health and wellbeing. Toxic substances have regularly been traced in counterfeit goods and there is no easy way for consumers to understand the risks and the consequences of eating or drinking contaminated products. Drinking fake alcohol can cause blindness and death; one need look no further than the incident in Russia in 2016 where 72 people died from drinking counterfeit vodka. These risks are clear and present, and yet the market for counterfeit goods continues to grow across many different industries. Interestingly, according to a 2014 PwC report, 18% of respondents in the United Kingdom admitted to buying fake alcohol. The report indicated that younger respondents – the consumers of the future – are more willing to knowingly buy counterfeit goods. It seems that the battle that the brand owner must wage is not just against counterfeiters; it must also be targeted towards turning consumers into allies. How can brands fight back? When faced with what can seem an overwhelming amount of online activity, brand owners are often unsure of what they should do to combat the distribution of counterfeit goods online and proactively safeguard their revenues, reputations and consumers. IP professionals should be interested in protecting intellectual property, including trademarks and copyright. Marketing professionals should be interested in protecting marketing spend, preventing brand and reputation erosion and helping legitimate customers to find real products. Sales professionals should be interested in optimising sales growth, preventing sales dilution by third parties and combating revenue loss. Risk professionals should be interested in mitigating supply chain, financial and consumer risk. Budgets are often easier to reach approval stage with multiple stakeholders backing any proposed service. Understand where there is activity online that negatively affects your brand. Establish a risk matrix for each individual brand, meaning that you can decide which brand is most under threat and where budget can be allocated for the best results. Understand which online activity presents the most risk to the business of not attaining its goals (eg, key markets, products and services). Quantify potential losses from counterfeiting and understand what a clear return on investment could be for each element of your anti-counterfeiting programme. Design and implement, with the help of third parties if necessary, a service that prioritises what you need as a business and focuses on your exact requirements. Focus on a dual strategy – first, disrupt the counterfeit supply chain as much as possible by identifying and taking down key listings, websites and social media profiles; second, identify and investigate high-value targets for litigation. Use a partner that has a specialist multi-lingual enforcement division, understands the key processes and has relationships with key organisations on a global basis. Liaise with security teams on the ground in key markets to provide targets for raids and seizures. Litigate and recover damages or physical products where possible. Use specialist partners for research, monitoring and enforcement where needed to maximise your return on investment and results. Focus on high-value targets to produce the greatest impact as quickly as possible – remember, it is not just about the amount of enforcement activity, but also the impact on key manufacturers and distribution networks. Measure the impact and share return on investment success with the business. Help your customers to understand why they should buy real products and what to look out for concerning counterfeits. Publish anti-counterfeiting guides or online consumer help pages. Consider investing in physical anti-counterfeiting technologies to help consumers to validate products. Consider increasing business-to-consumer direct sales to better control your supply chains. The food and beverage industry faces a challenge from counterfeiters on a global scale. Social and economic pressures continue to create an ideal environment for criminals to take advantage of laissez-faire consumer attitudes to sell vast quantities of counterfeit products. The risks to revenues, reputations and consumers are plain to see. The advice for brand holders is to take customer education seriously – let them know how and where your brand can be found online, and provide a mechanism for them to report anything suspicious. By arming customers with the facts, you will effectively increase their capability to monitor the Web for infringements at virtually no cost. In return, customers’ trust in your brand will increase. Meanwhile, you should also invest in an online brand protection programme that can help to identify and remove infringing products worldwide. While unauthorised online activity can feel overwhelming, these simple steps can make a big impact in a short space of time. Understanding what can be done and what is a realistic outcome is key to designing and implementing a programme that suits your business goals. The advice for consumers is simple: be more vigilant and exercise caution when buying food and drink online. Use the same level of prudence that you would in your day-to-day offline life, if not more. 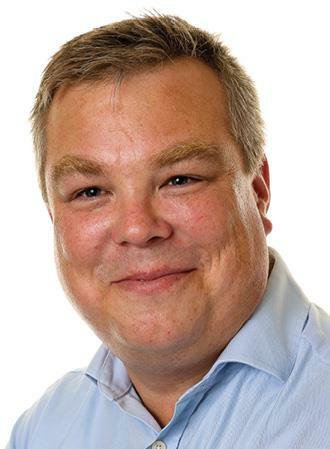 Haydn Simpson is commercial director at NetNames – a Corporation Service Company (CSC) company. He is responsible for driving commercial growth, working with clients and partners to optimise their online presence, protect their brands and ensure that their digital activities align with and contribute to their overall strategic goals. Prior to his existing role, he led the successful growth of NetNames’ brand protection business. NetNames is part of CSC – the leading and most respected global provider of corporate domain management and online brand protection services.